Roughneck Professional Bolt Cutter 24"
Highest quality chrome molybdenum steel. Lightweight but strong tubular steel handles. Compound action to increase leverage. Centre cut for general applications such as cutting chains, padlocks, bolts, nuts, rods and wire mesh. Easily adjustable jaws for quick re-alignment. Large double injected soft-grips for comfort. 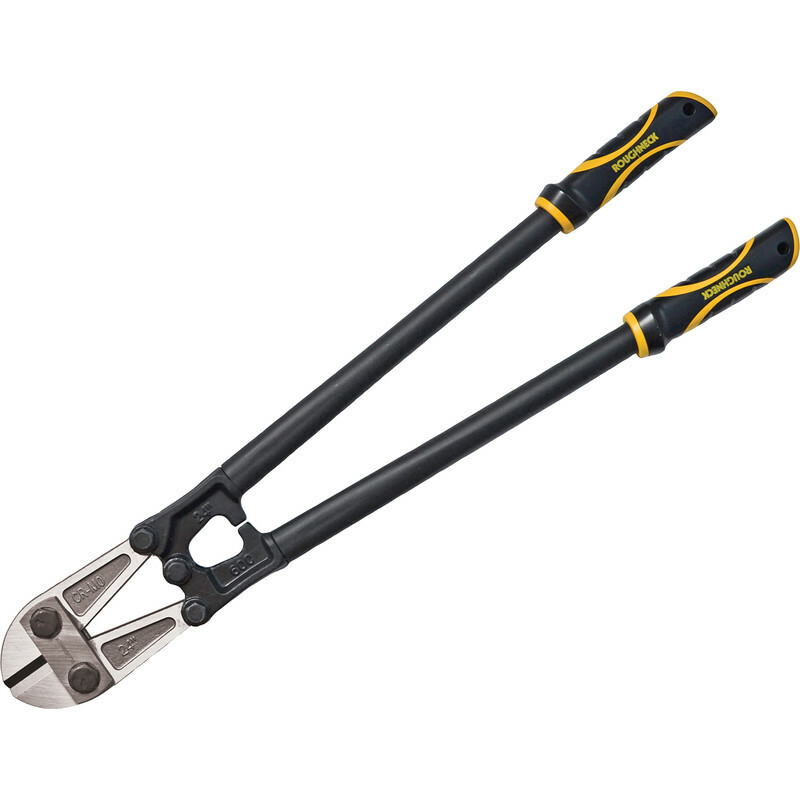 Roughneck Professional Bolt Cutter 24" is rated 5.0 out of 5 by 3. Rated 5 out of 5 by Landlord1999 from Will remove a padlock Removed a good quality padlock in one go (tenant had lost the padlock key). I am glad I bought the 24" cutter - I suspect I would have struggled with a shorter 18" one. No visible damage to the blades after one use. Rated 5 out of 5 by daveyh from Great bit of kit. Perfect for the job I had in mind. Rated 5 out of 5 by Mark0711 from Great build quality Bought these to cut some 3 x 21 x 2500mm steel chain. They cut it like a knife through butter and the cutters are a nice comfortable size and not too long.